This was a true story. 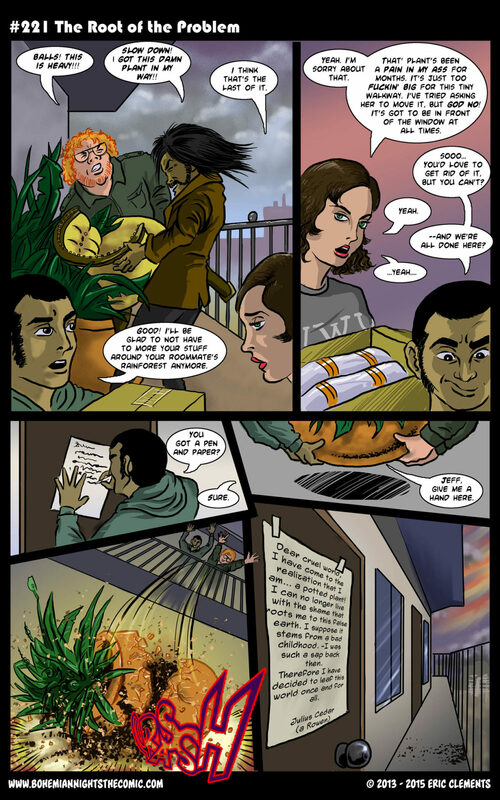 In my younger days when I was moving all over the place I lived next to someone who had a huge potted plant on the walkway, and yes, after I moved out the plant and pot went the way of the one in the comic…complete with suicide note. It all stems from your childhood roots. Probably need to branch out a bit more. And I seed how you did that!